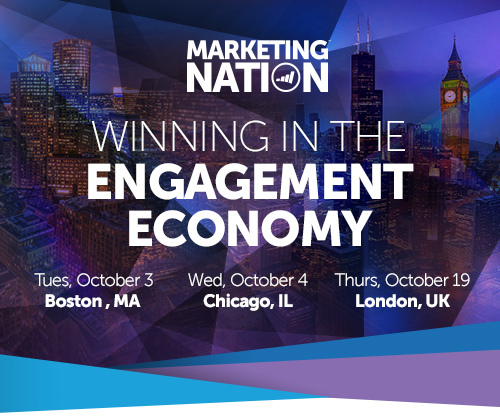 Join Marketo for a full day of marketing thought-leadership as the Marketing Nation comes to Boston, Chicago & London! This event will provide you with an opportunity to network with your peers as well as hear from industry experts on what they see for the future of marketing. Join fellow marketers at the MarTech conference for learnings from Seth Godin, Scott Brinker and more - on how to move from volume to value for better customer engagement. Discover how to incorporate AI into your current strategy, partner with your sales team, implement account-based marketing etc... with special guests such as Seth Godin, and industry experts from Marketo, IDC and more. 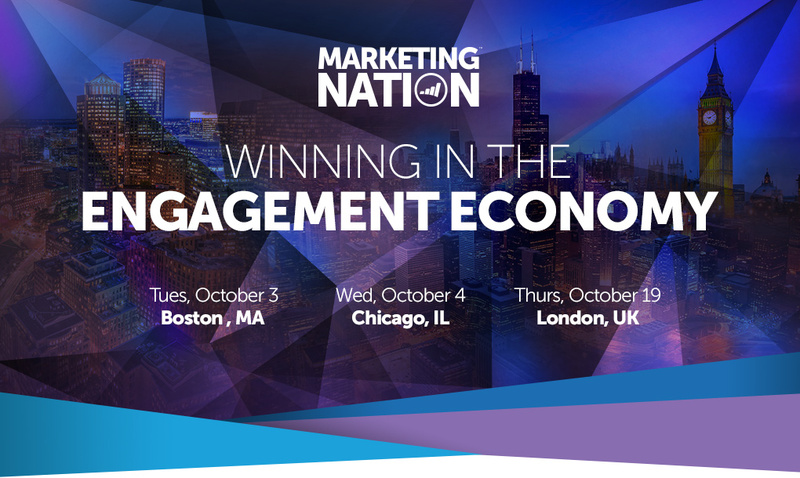 Get a full day of marketing thought-leadership sessions and industry expertise focusing on how marketers are adapting, transforming and innovating to succeed in the new Engagement Economy.